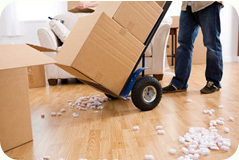 No matter how big or small or how far your removal is – we can cover it without any stress or damage. We are not freight forwarders or third party hauliers, we are a professional removals company, so if we come and pick up your load, it stays with the same people, in the same vehicle, exactly in the same place until it reaches your proffered destination. Why would you choose our company? We can offer to you the most competitive prices around, keeping the highest quality services. All our services are insured so you have nothing to worry about in case of unforeseen circumstances. Packing and storage are also available via our company. All you have to do is just fill a quote or give us a call and we will contact you shortly.